You need a partner who understands your network inside and out. With dedicated IT and Unified Communications engineers, we successfully implement all aspects of your unified communications solution. From network design to security, to disaster recovery and virtualization, you get a customized solution that is so much more than just an office phone system. Loffler’s Unified Communications specialists listen, diagnose, and deliver recommendations to make your next integrated voice solution a success. We're dedicated to the best technology selection and services methodology for each client. Through every engagement, we collect information that drives your overall company strategy. Mitel’s broad portfolio of solutions is designed to cover virtually every business communication need across any industry. From cloud communications to enterprise mobility solutions, you get the flexibility and rich premise-grade communication features you want in your choice of public, private and hybrid deployment models. Mitel can help workers in organizations of all sizes be innovative and productive. 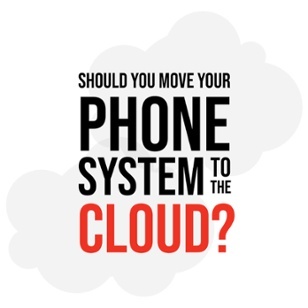 Traditional phones don't stand up to to the demands of modern businesses. Let the NEC office phone system experts at Loffler connect you with software-based communication solutions that will help your business improve efficiency and reduce costs. NEC business phone systems are telephones in form only – they also offer seamless integration of advanced IP applications, one of the many benefits of VoIP Telephones. Voice and data work together in flexible technology that grows with your organization. Are you ready to consolidate your communications and advance your business? From selection to installation, to service and support of your NEC VoIP Telephones, we'll help you find a state-of-the-art communications system that evolves with your business. 8x8 easily and seamlessly connects employees, customers and applications to improve business performance for enterprises across the globe. Results-driven organizations rely on the 8x8 Communications Cloud to reduce complexity and cost, improve individual and team productivity and performance, and enhance the overall customer experience. A RingCentral phone solution empowers today’s mobile and distributed workforces to be connected anywhere on any device. Its open platform integrates with today’s leading business apps with the flexibility to customize workflows. RingCentrals' cloud-based communications and collaboration platform unifies voice, video, team messaging and collaboration, SMS, conferencing and online meetings, contact center, and fax.